I love my kids so much that I can't force myself to buy them a cheesecake (or anything else for this matter), that would hurt them with all those chemical and artificial ingredients that should be kept locked in a lab under biohasard warning sign. I love my kids and I want them to enjoy food, the real food. And if I have to walk an extra mile looking for real food I'd do it. 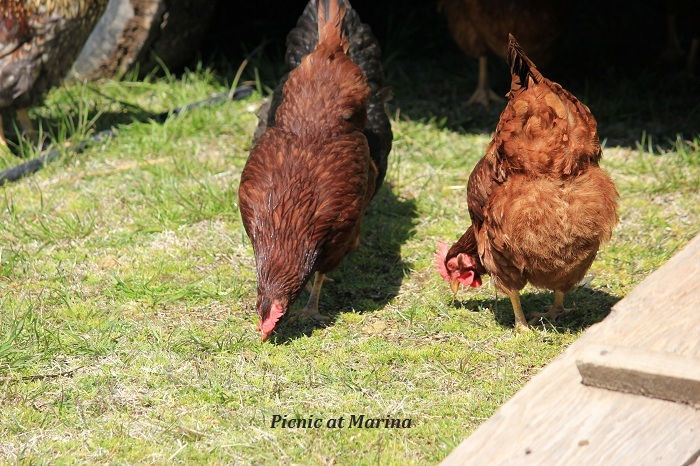 So I start with a trip to a local farm, that raises happy goats and chickens, and all other animals on pasture. When it comes to food, I am a control freak: I need to know where did it come from, how it was raised and produced. 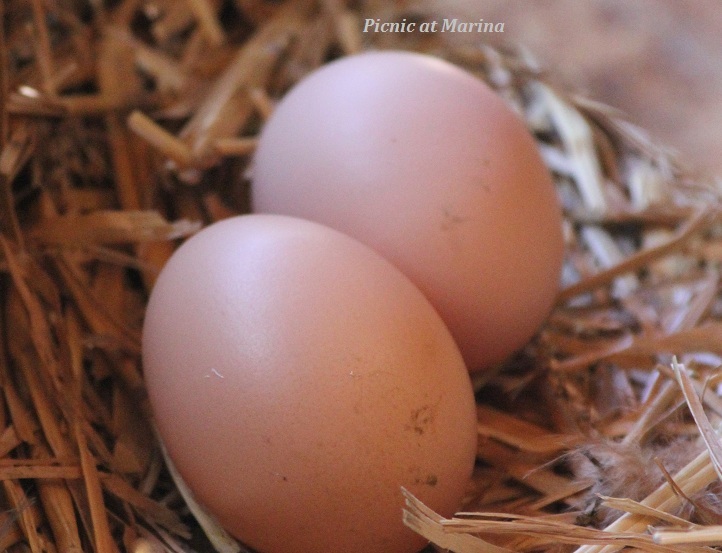 I was excited to learn that in our neck of the woods natural farming exists, and I was able to find eggs from free range chickens, raw goat's milk, grass fed beef, naturally raised pork. 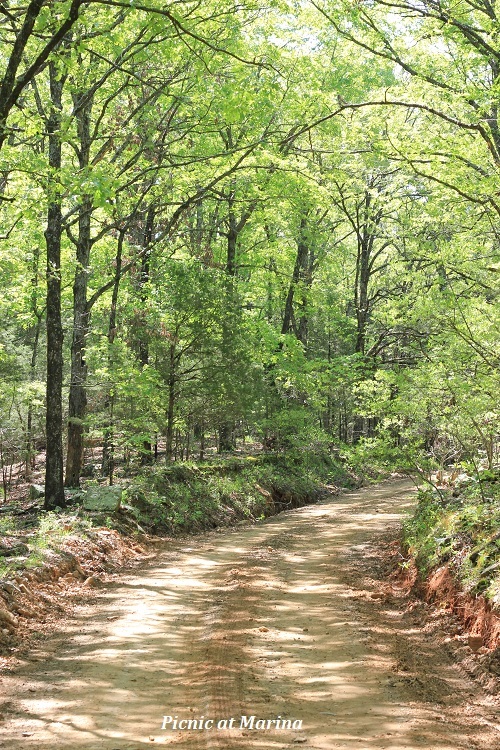 All of this just a short drive to the Cedar Creek Farm in Cedarville, AR. Milk for the cheese come from a friendly goats, that eat, play and rest on the sun all day long. First, I have a glass of fresh raw milk. It's a meditation moment: I close my eyes and smell a meadow. It puts a smile on my heart, and fills me with even more love. Love is an important ingredient to put in your food, or anything you create. 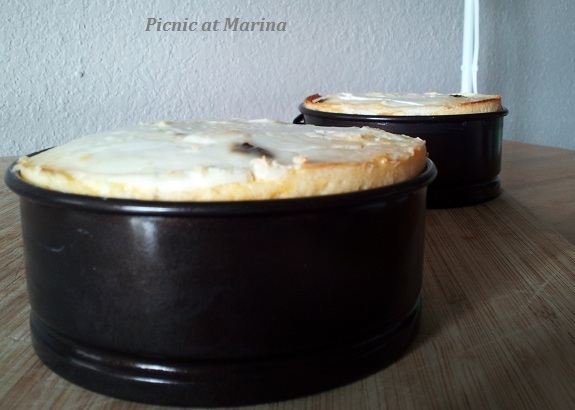 And then I make a simple cottage (or farmer's) cheese for my cheesecake. 1. 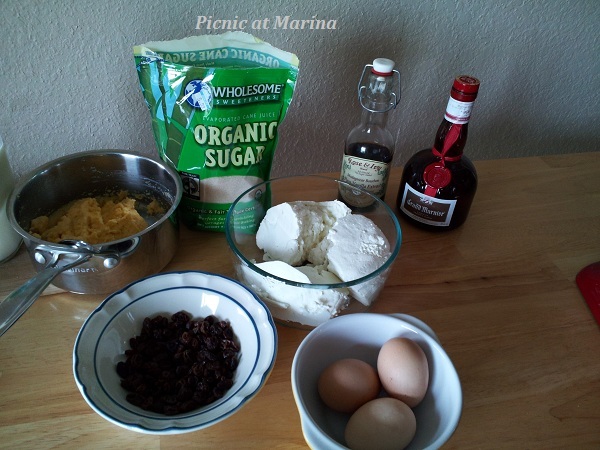 Pour boiling water over the raisins and let it soak for 20-30 minutes. 2. Pour milk in a small sauce pan and bring it to a boil, stirring to prevent milk from scorching. Take off the heat and slowly add polenta, stir in the butter and mix well. Cover, and let it cool. 3. Pre-heat oven to 180C/ 360F. 4. Prepare an 8 or 9 inch spring form: lightly grease it with some butter, dust it with 1 Tablespon polenta, and tap to knock out the excess polenta. 4. Drain the raisins and pat dry it. 5. 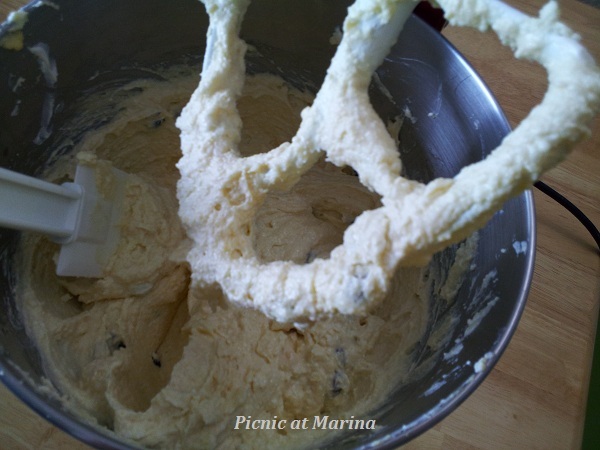 In a mixing bowl (or stand mixer if you have one) whisk together eggs and sugar. Add cheese, sour cream, Grand Marnier (if using), and vanilla, and beat well. 6. 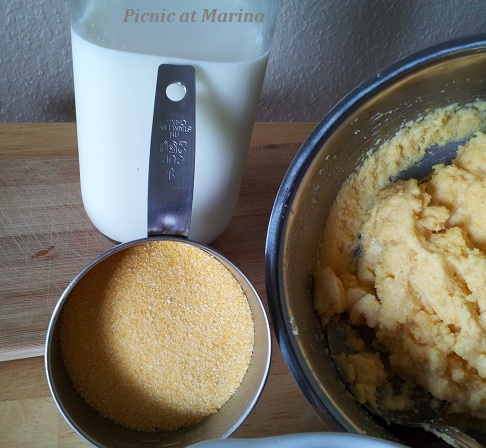 Add polenta mash, and mix until all well blended. 8. 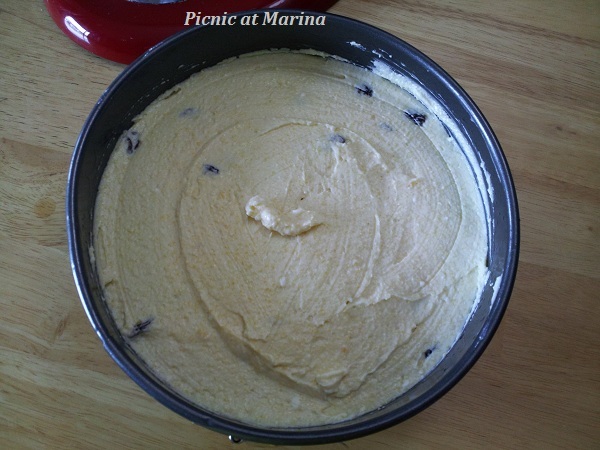 Place the thick batter into prepared spring form and with a spatula even the top. 9. Bake the cheesecake for 45-50 minutes. 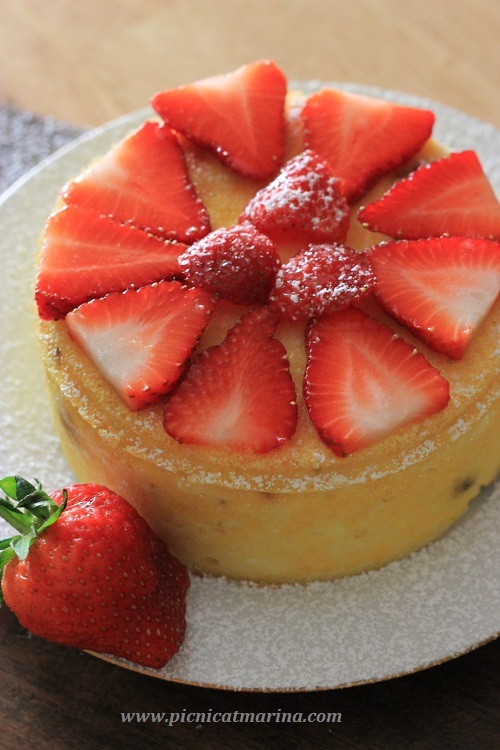 Cool cheesecake completely and serve with sour cream and strawberries, dusted lightly with sugar powder (whipped cream can be used instead of sour cream, but try with sour cream first, you'll be surprised!). The recipe for cheesecake has been in our family for a very-very long time. And it was always made out of home made cottage cheese. Therefore I can't tell you what it would be if made out of store bought cheese. P.S. This Thursday is our son's graduation from the High School. On Friday container should be here for packing. It looks like a busy week ahead. So... With all that said, my posts will be sporadic for the time being, until we move and settle somewhere. I also may not be visiting your lovely blogs as often as I'd like to. But I think of you all often. Thank you for visiting my blog and leaving your touching comments! How pretty and so different from all my regular recipes..It truly is sun kissed! Might have to put this on my list to make! I love that you're so aware of all the processing and artificial ingredients that go into supermarket foods nowadays--it's something I never appreciated growing up but am so much more conscientious about now. What a *fantastic* and creative modification on a beloved dessert! Oh my! What wonderful, beautiful pictures!!!! 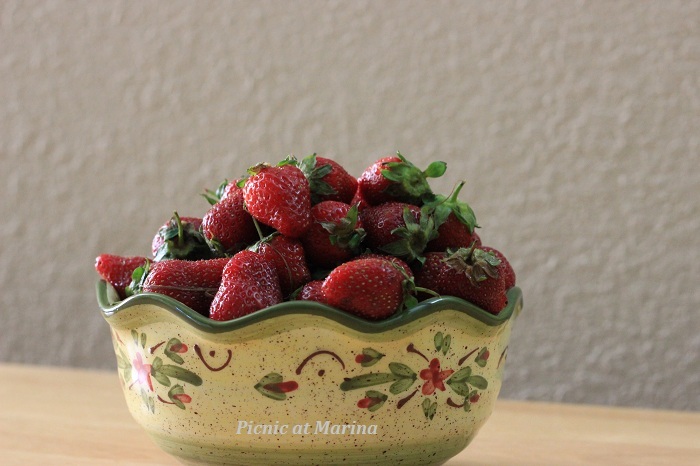 I'm not a cheesecake person, but the strawberries in your pictures look delicious! Not like the ones at the grocery store. Now that's a cheesecake! There's something about fresh strawberries topping off a cheesecake. It's a perfect marriage. Lucky that you had such a great source for organic products. Unfortunately, that's not always the case. Enjoy your Son's graduation, Marina. I hope you all have a wonderful time! 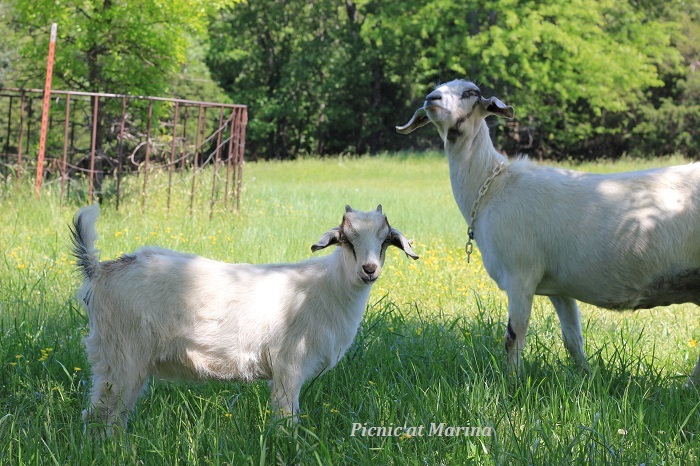 Aw, I love that last photo Marina - goats are so cute! Isn't some pre-prepared food terrible... all those chemicals and "E"-numbers. Just crazy... and sadly most of the foods which are marketed at kids and young people are the word offenders. Good on you for making up your own for your son! I'm not sure if he complains about it now - having to wait for you to make it - but you can bet that one day he'll be so grateful when he really realises what you've done and why you did it! And this cheesecake is perhaps the prettiest thing I have seen! What a lovely cheesecake and that last photo has me cracking up. 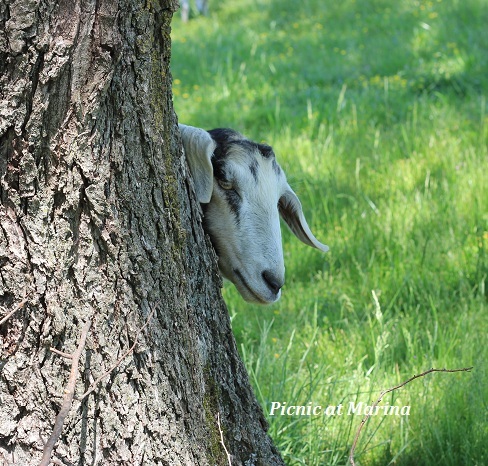 I want to put words in that goat's mouth - "peek-a-boo!" I don't think I have had a cheesecake with polenta in it. Looks delicious especially with the fresh strawberries. Have a grand time at your son's graduation and hope all goes smoothly with your move. 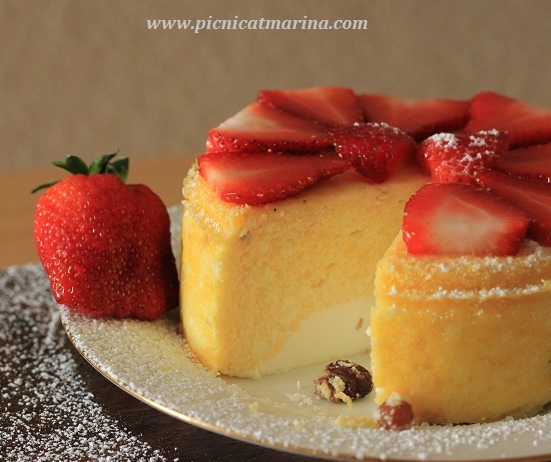 Have never tried polenta since it is not available at this part of the world but this cheesecake sure sounds and looks delicious. 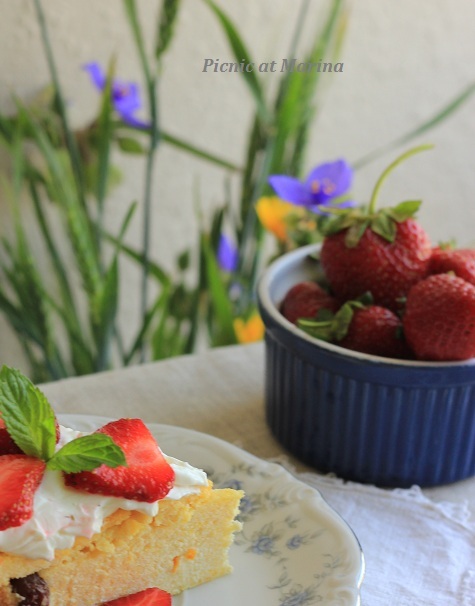 Amazing post, delicious cake and beautiful strawberries!-)) It looks like Russian "Zapekanka", I want slice of it very much. Oy Marina, now I have to make it!!!! !